A tasty appetizer that has no season. 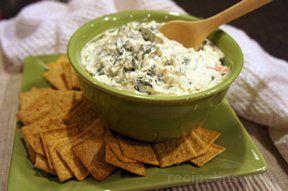 Spinach Dip can be served with crackers, on pita bread, or in a bread bowl. Thaw and drain the frozen spinach. Chop the fresh parsley. 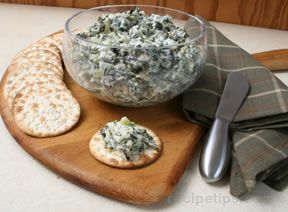 In a bowl, stir together the spinach, parsley, water chestnuts, celery, mayonnaise, soup mix, green onions, salt, and pepper. 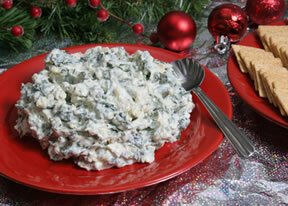 Optional: Hollow out a round loaf of rye bread and fill it with the spinach dip mixture prior to serving. 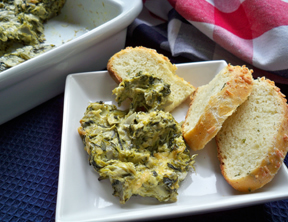 Save the bread pieces (from the hollowed out portion) to be eaten with the dip.